Fresh to the lot and ready for some summer fun! This electric powered EZ-GO is ready to roll with a headlight/tail light kit, brand new 14 inch wheels and tires, rear flip seat and much more! Stop by for a test drive, and check out some of our financing options! Available only at Hi-Way Auto Sales, where the customer is #1. Family owned and operated since 1953! 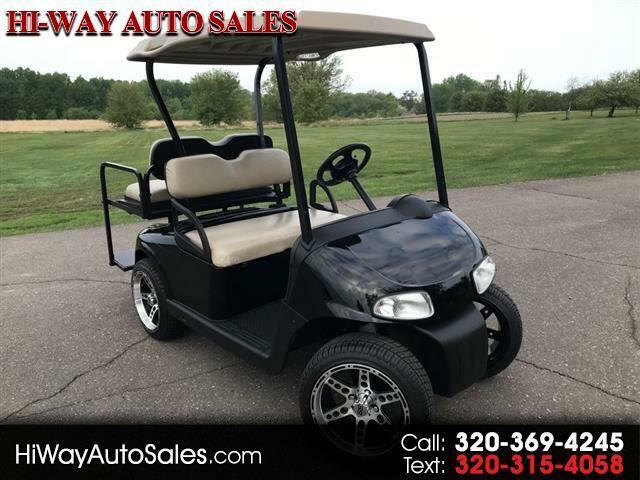 Visit Hi-Way Auto Sales online at www.hiwayautosales.com to see more pictures of this vehicle or call us at 320-369-4245 today to schedule your test drive. Message: Thought you might be interested in this 2009 EZ-GO RXV.